Picat has played a key role in the success of PSA's China joint venture. PSA/Peugeot-Citroen has picked Maxime Picat to lead the struggling Peugeot brand. He replaces Vincent Rambaud, who is leaving the company for personal reasons, PSA said in a statement. Picat will move to Paris from China, where he has been head of the successful Dongfeng Peugeot Citroen Automobile joint venture since 2011. The 38-year-old Frenchman takes charge of Peugeot on Oct. 1, PSA said on Monday. Picat joined PSA in 1998 after earning an engineering degree from France's Ecole des Mines de Paris. 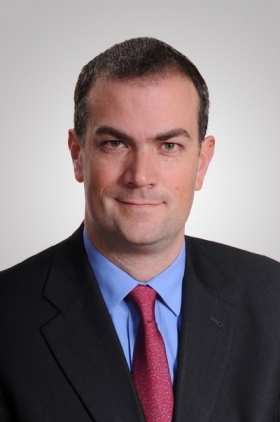 He held several manufacturing positions at PSA's plants in Mulhouse and Sochaux, France, before moving to China in 2007 as director of PSA's plant in Wuhan. In 2008, Picat was promoted to deputy head of PSA's joint venture with Dongfeng Motor Corp. and was given the top job at the JV last year. Since taking charge, the JV's unit sales have more than doubled, PSA said. In contrast, Peugeot sales in Europe fell 15 percent to 442,595 vehicles in the first half in a market that was down 6 percent overall, according to data from industry association ACEA. In its home market, Peugeot sales declined 19 percent to 253,749 in the first eight months of the year, according to French industry group CCFA. 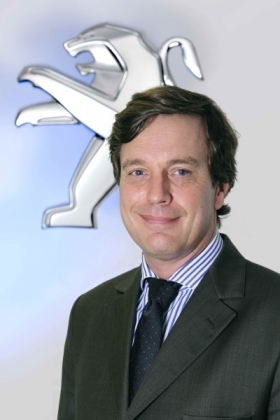 Rambaud became head of the Peugeot brand in March 2010. Prior to this, he was director of PSA's Latin American unit. A graduate of the Ecole Polytechnique and ENSTA, Rambaud joined PSA in 2002. He worked at PSA's transportation and logistics subsidiary, Gefco, before taking charge of the automaker's Mercosur business unit in 2007. (Mercosur is a South American trade bloc, whose full members include Argentina, Brazil, Paraguay and Uruguay). PSA is struggling to combat a deep sales slump and issues of overcapacity in Europe that has hit mass-market automakers' earnings particularly hard. The French carmaker plans to cut more than 10,000 domestic jobs and close a production plant near Paris to curb losses that the company has said have hit 200 million euros ($246 million) a month in the past year.